While most people were waiting to see what Dior gown Jennifer Lawrence would wear to the Oscars, we were excited to see what hairstyle she would pair it with. The Silver Linings Playbook actress did not disappoint. 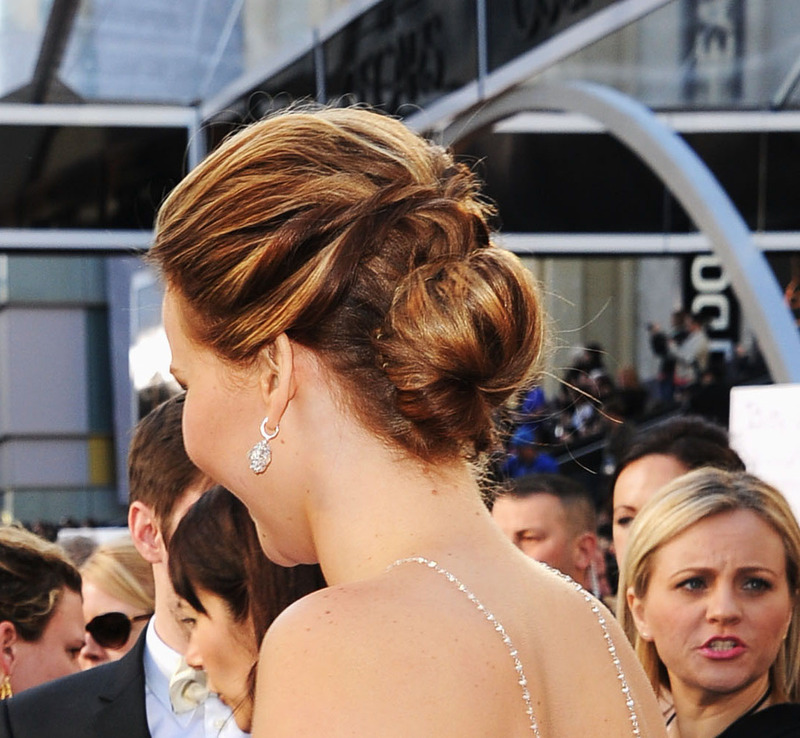 Instead of a simple updo, Jennifer wore a masterpiece created by Dove Celebrity Stylist Mark Townsend. Step 1: Start by applying a few drops of Dove Nourishing Oil Care Anti-Frizz Serum ($6.79, drugstore.com) to damp hair and comb through. Step 2: Add a large dollop of Dove Nourishing Curls Whipped Cream Mousse ($4.89, drugstore.com) to hair and blow dry with a large round brush. Step 3: To give hair texture and shine, put a nickel-size drop of serum into your hands and rake it through your hair. Then, take random pieces from each side and loosely twist them and pin them together at the back of the head with eight bobby pins in crosses. Step 4: Then, take the remaining hair and gather it into a loose playful bun and finish with extra hold hairspray. Did you love her hairstyle as much as we do?